In our previous webinar, “Join The Marketplace Movement And Grow Your Online Business,” our strategists discussed two ways to approach “the Amazon effect.” One to those was to take advantage of the additional sales channels marketplaces like Amazon create. This webinar is a deep dive into that approach, demonstrating the IBM Watson Commerce integration with ChannelAdvisor. 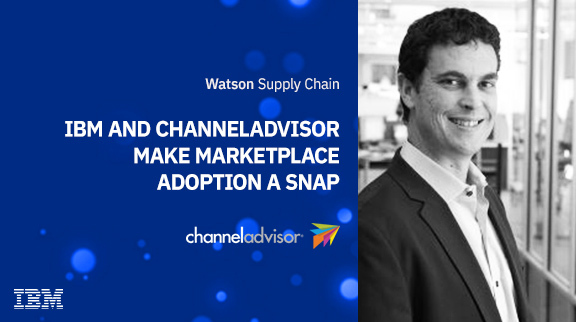 ChannelAdvisor Marketplaces is a SaaS platform for 3P and 1P retailers and branded manufacturers to manage product inventory, expand products into multiple marketplaces and optimize product content globally. It provides data automation, repricing, channel-specific templates and AMS integration services to help win the buy box and grow GMV. Together with IBM, they extend your existing eCommerce investment to reach more customers and help you understand where your best opportunities to sell lie.